There are some books that make you want to pass out copies to strangers, just to have someone to talk to them about. 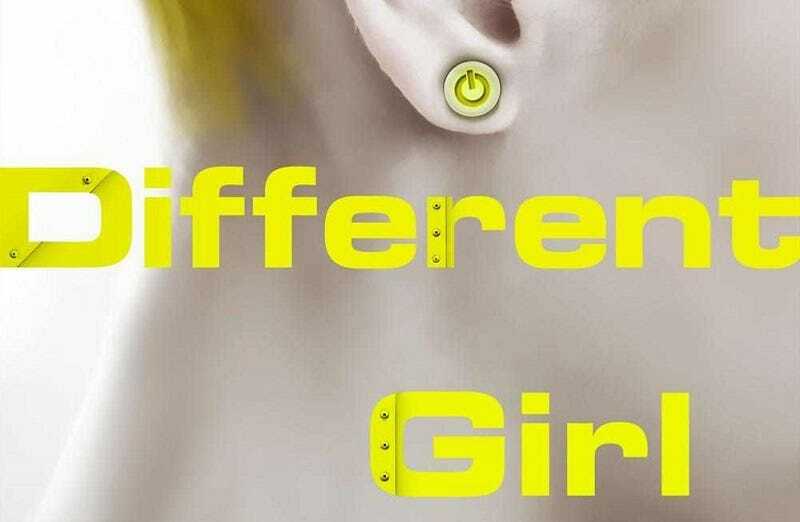 More than anything, I want to get a group of book loving, curious 11-year-olds together and pass out copies of The Different Girl. Yes, Gordon Dahlquist’s middle grade novel has me willing to go back to fifth grade. It is a beguilingly simple story. Four identical girls (Veronika, Caroline, Isobel and Eleanor) live on a tropical island with their two caretakers. Day after day, they walk around the island, learning about the world. Then one day, a nearly drowned girl washes up on shore, and things change. May’s life hasn’t been an idyllic stroll on a desert island and it’s clear the world beyond the island can be dangerous and violent. May’s arrival introduces conflict and chaos to the island, but also to the girls’ minds. No longer insulated from the outside world, the girls begin to learn that not everything can be calculated or understood. What makes all this especially wonderful is the way the story unfolds. Each scene of the book adds another piece to a puzzle that you don't initially know is there. It's not clear at first who or what the four girls on the island are — though the cover probably gives it away. But even when those questions are answered, the book keeps revealing more about the nature of the girls even in the last chapter. The girls aren’t the only mystery — the world the book takes place in is amorphous. Politics, technology, dates swim in a sort of not-quite understanding that feels like childhood. The story seems to take place on a future version of Earth, but if it turned out to take place on another planet, it wouldn’t be that surprising. Dahlquist is clearly interested in creating a book that challenges the assumptions of reading and makes younger readers work to understand the story. Another reason I want to ask a bunch of 11-year-olds about the book is the ending of the book. As a jaded adult, I found it melancholy, perhaps even depressive. But I strongly suspect 11-year-old me would have read the ending as happy: the beginning of a grand new adventure (I was a serious fan of robinsonades at that age). However, even if the ending left schoolkids in tears, The Different Girl is a great middle grade sci-fi book, the kind that stands up next to books like The Giver or When You Reach Me.